Roberta Brandes Gratz | Award-winning journalist and urban critic, lecturer and author. Roberta Brandes Gratz, award-winning journalist and urban critic, lecturer and author. Her most recent book is We’re Still Here Ya Bastards: How the People of New Orleans Rebuilt Their City. Earlier works were: The Battle For Gotham: New York in the Shadow of Robert Moses and Jane Jacobs, the now classic The Living City: Thinking Small in a Big Way, and Cities Back from the Edge: New Life for Downtown. 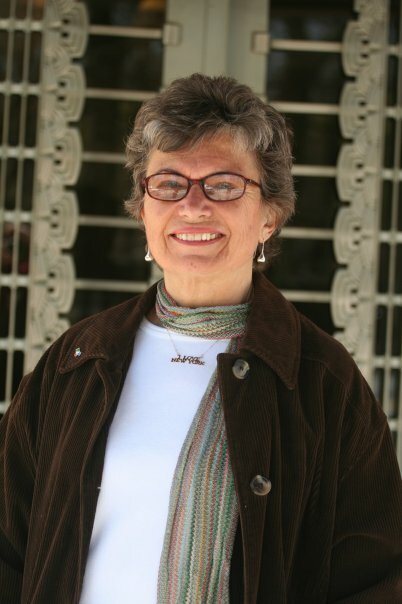 Ms. Gratz was appointed by Mayor Michael Bloomberg to the NYC Landmarks Preservation Commission in 2003 and in 2010 resigned from the commission and was then appointed by the mayor to serve on the Sustainability Advisory Board for PlaNYC. In 2005, in collaboration with Jane Jacobs, Ms. Gratz and a small group of accomplished urbanists founded The Center For the Living City . Ms. Gratz’ articles have appeared in the Wall Street Journal, New York Times, The Nation, Tikkun, Planning Magazine, New York Newsday, The Daily News, Planning Commissioners Journal and others. And her writing has been translated into Japanese, Russian, Czech, German and Polish. More recently, Ms. Gratz writes frequently for various on-line publications. She travels all over the U.S., Central Europe, Japan and Great Britain to lecture and consult on urban revitalization issues. Recipient of fellowships from the National Endowment for the Arts, New York State Council on the Arts, Surdna Foundation, Rockefeller Brothers Fund and the Fannie Mae Foundation, and writing awards from the American Institute of Architects, American Planning Assn, Municipal Art Society, the New York Press Club, the City Club of New York and others. Gratz is Trustee and former head of Public Policy of the New York State Preservation League; former Vice-President of the Salzburg Conference on Urban Planning and Development; founder and President Emeritus of the Eldridge Street Museum, the effort to restore the historic Eldridge Street Synagogue on the Lower East Side and to establish a Jewish Heritage Center on the site; a founder and former board member of the Writers Room, the first urban writers’ colony in the country. Gratz was a member of the New York Governor’s and Mayor’s Task Force on Planning Manhattan’s West Side Highway and Waterfront. She founded the Fire Island Historical Society. She is a native and resident of New York City. Roberta Brandes Gratz can be contacted at roberta.gratz[at]gmail.com.